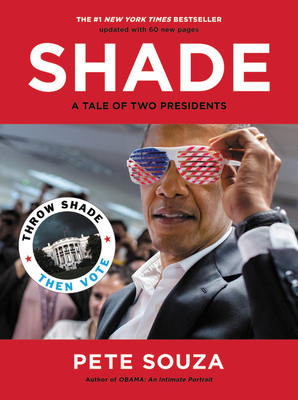 Shade is a portrait in Presidential contrasts, telling the tale of the Obama and Trump administrations through a series of visual juxtapositions. Here, more than one hundred of Souza's unforgettable images of President Obama deliver new power and meaning when framed by the tweets, news headlines, and quotes that have defined the Trump White House. Pete Souza has been the Official Chief White House Photographer for the entire tenure of the Presidency of Barack Obama. He has been a professional photographer since the 1970's and was the Washington Photographer for the Chicago Sun-Times for several years and was an official White House Photographer during the Reagan years. His work has appeared in Life and National Geographic and he is the author of several books.